Another day in paradise. While it began like any other day, I had no inkling that the morning would be fraught with an itchy danger. I was taking my customary nap. When you’re a Crusty Old Expat like me, such naps are indispensable. My wife was in the CR taking a shower. The splashing water had driven me from the Sandman’s Slumber Land. Probably a good idea she was washing up. She had been outside by our well helping our domestic assistant hand washing some clothes. Seems odd to me that hours are spent hand washing clothes on laundry day. We have a Samsung Automatic washing machine that is supposed to handle that chore. 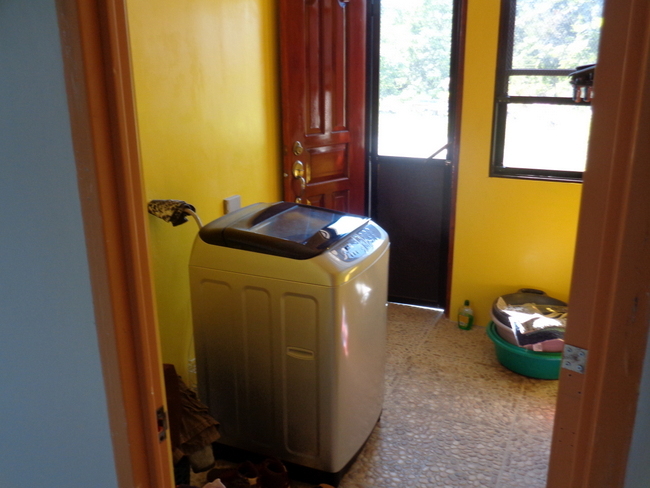 It’s an 11.0kg Wobble Free technology model that cost 38,000 pesos, 700 US dollars, a few years ago. However, that’s a battle I’ve long quit waging. My hardworking spouse insists on washing some clothes by hand though she hand washed precious little clothes back in the States. Our Whirlpool was good enough to handle the laundry chores. However, in the Philippines, clothes get “dirtier” because of the heat and humidity. Well, that’s what my wife says. Therefore, why engage in an unwinnable skirmish? As I tried to shake off my grogginess, my wife exited the CR, Comfort Room, with a distressed look on her face. 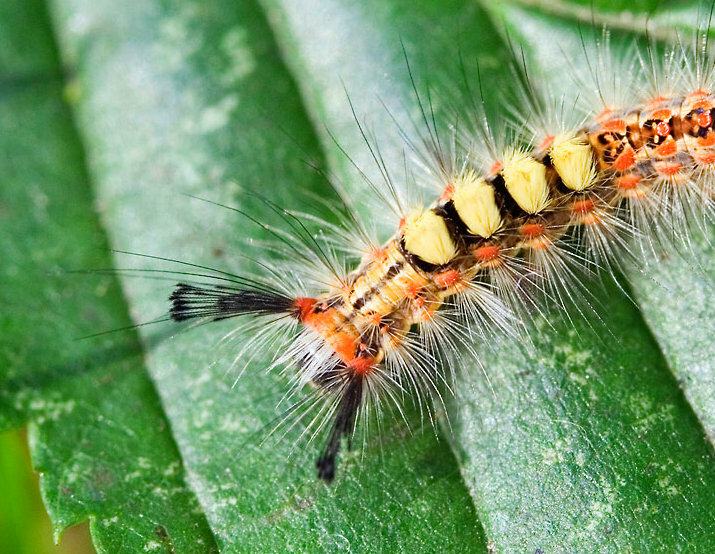 The dreaded “itchy worm,” “higad” in Filipino, or Rusty tussock moth had just attacked my wife! Its spiny hair can cause painful, inflamed itchiness which can lead to serious medical complications. Her neck and shoulders were already broken out in large, red hives. She was in considerable discomfort. She had taken a shower already, which really shouldn’t have been her first course of action. Taking a shower may spread the infection. Apply sticky tape (duct tape, cellophane tape, etc.) onto the area to remove the spiny caterpillar hair. While my wife slathered some BL lotion on the infected areas, I quickly looked up the treatment for a “higad” online. My spouse then took an antihistamine/allergy medicine we had on hand. The medicine helped relieve the itchiness and by nightfall the hives had almost disappeared and the itchiness was gone. We’ve since purchased Calamine lotion as a back-up for the BL in case of any further “higad” problems. I like to be prepared. I’m also going to purchase some Benadryl, a reliable antihistamine to make sure we have the proper “higad” remedies on hand. So next time you go outside and do your hand washing or if you’re working in your garden, look out for any hairy caterpillars. Thankfully, I’ve never encountered the itchy worm before. However, there’s a reason for that. I don’t do any laundry outside and never do any gardening. The Crusty Old Expat is too busy working on this blog. Well, that’s what I tell my better half.